Oh wow! Thanks Ron. I think I'll put those on the silent auction. Should be a great moneymaker. Use them however you see fit. They are meant to help raise money for WTA. Glad to help. 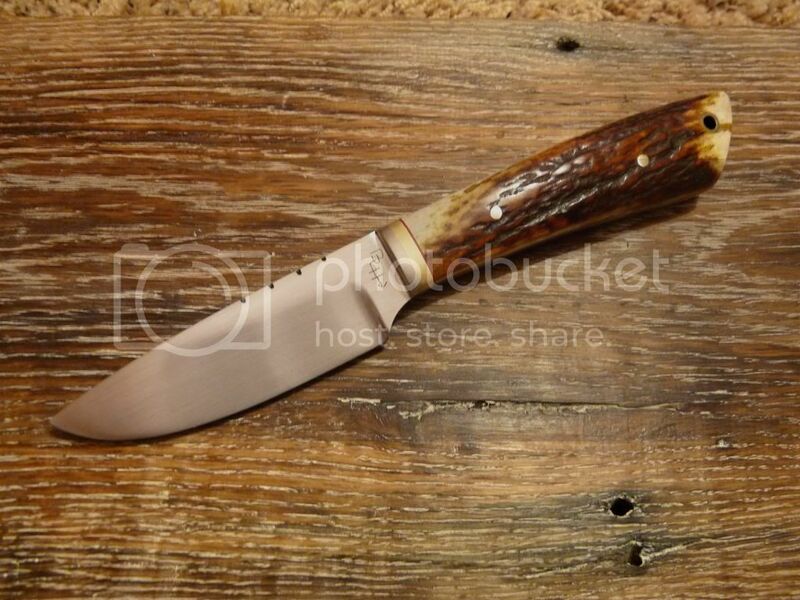 Here is the knife I cobbled together for the banquet. WOW! Those are great donations,nice work guys. Ron and Brian. Great work on your donations for the banquet! Don't forget that Registration for Dinner is Due by Feb. 10th!!!!! Did you ever hear the tale of the student who’s dog ate his homework??? Dogs also eat custom made leather chopper mitts you plan to donate to WTA. Time to scramble and make a brand new pair in time for tomorrow.. Uuuugghhhhhh. That just gives them character! When's next years banquet dates?? NICE!!!!!!! Day after my birthday and I can actually stay for dinner this year.....yeah buddy! Thanks Greg! We checked your schedule before making the date. Well it's actually on my birthday!! Bruce is such a nice guy, throwing me a party like this!! Dammit Jerry, why did you have to go and steal all my glory???? I'm not that way. I'll share.